Following the shooting death of 18-year-old Michael Brown over the weekend in Ferguson, Missouri, a number of artists in the Hip Hop community have turned to social media to voice their thoughts on the matter. Among the artists who have responded to the shooting are Atlanta rapper Big Boi, producer 9th Wonder, and St. Louis, Missouri native Nelly. Among the most vocal was Mississippi rapper David Banner who addressed the skewed psychology behind such shootings. Our situation is more psychological than people will admit. Black kids kill black kids for the same reason cops do. They see no value. Black men have to watch what color we wear, what hood we are in, the cops, whites and blacks, no hoodie no white tee, no loud radios damn! Additionally, OutKast lyricist Big Boi retweeted several pictures and videos posted online from those present in Ferguson, Missouri during the recent protests. According to CNN, Brown was to begin classes at Vatterott College this past Monday (August 11) and was spending the summer with his grandmother when the shooting occurred. On the day of the shooting, Brown’s friend, Dorian Johnson and another witness revealed that the two were walking in the street when they were approached by a police officer. While speaking with local station KMOV, Johnson stated that words were exchanged and the officer began shooting. The shooting is reportedly being investigated by the Federal Bureau of Investigation. Tweets from other artists in the Hip Hop community can be found below. jesus. 48 hours w/o watching news. just recapping the #Ferguson events god bless #MikeBrown‘s family & may St Louis find peace & justice. 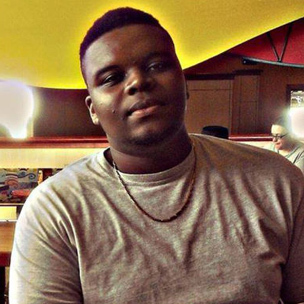 #MikeBrown would have started college this week. http://t.co/NgG4Ro4GBI so upsetting.